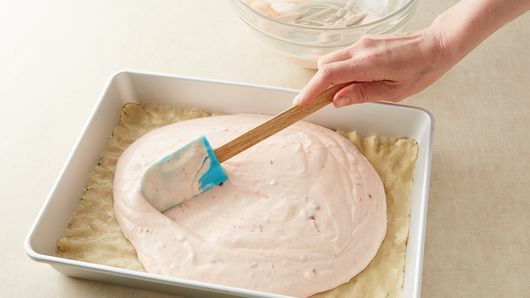 In medium bowl, beat cream cheese, sugar and 3/4 cup of the strawberry topping with electric mixer on medium-high speed about 1 minute or until well blended. Add eggs; beat about 2 minutes or until well blended and creamy. Spread evenly over crust in pan. 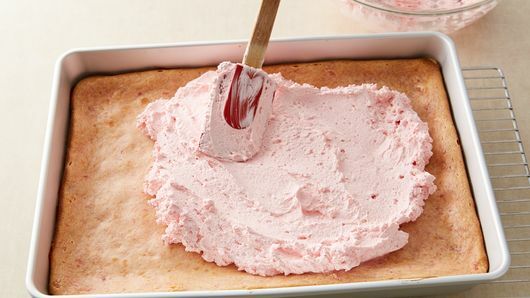 In medium bowl, mix whipped topping, food color and remaining 1/4 cup strawberry topping. Spread topping mixture over cooled cream cheese layer. Refrigerate about 2 hours or until set. To serve, cut into 6 rows by 3 rows. 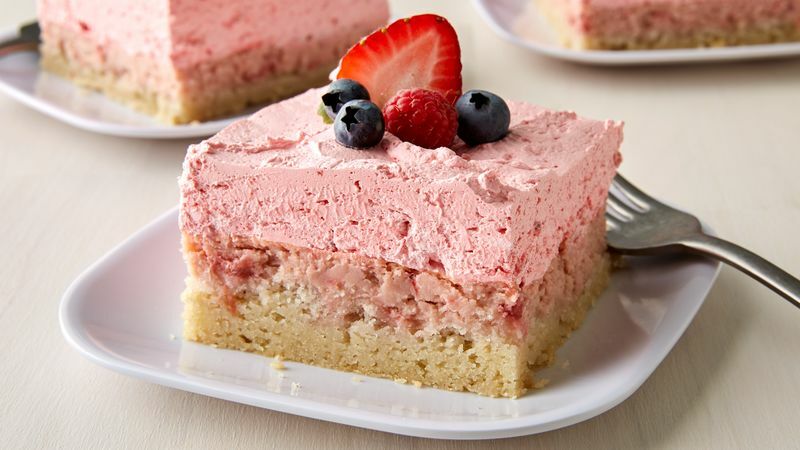 Garnish each serving with fresh berries. 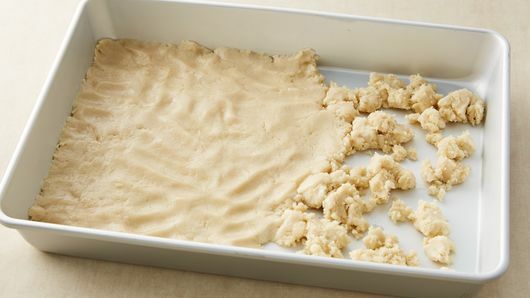 Cover and refrigerate any remaining dessert.